FREE Sample Pack of Lipton Green Tea! You are here: Home / Freebie / FREE Sample Pack of Lipton Green Tea! 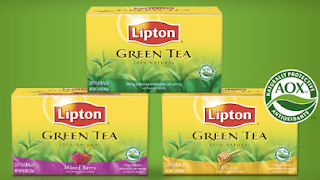 Lipton is offering a FREE Sample Pack of their Green Tea flavors. Simply go here and wait for the ‘FREE Sample’ tab to appear on the top or right hand side ad banner.